Tetra Tech created its 50th Anniversary Global Clean Water Fund to honor its history of leadership in the water sector and commitment to Engineers Without Borders’ life-changing work. These Tetra Tech-provided grants helped bring clean, safe water to communities in poor and underserved communities in remote areas around the world. 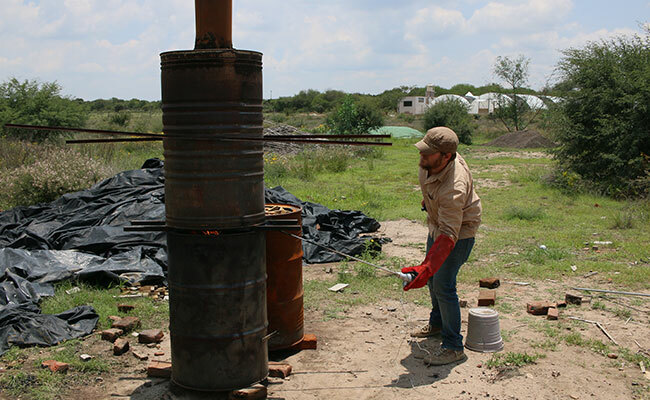 The Engineers Without Borders UK team received a grant for their ongoing Clean Water Biochar Filtration System project in San Miguel de Allende, Mexico. This project includes the collaborative development of a biochar water filtration system with a local non-governmental organization, Caminos De Agua, to provide safe drinking water for the community. The community of San Miguel de Allende faces severe water shortages and rising rates of naturally occurring arsenic and fluoride in their groundwater due to low levels of rainfall and increased groundwater extraction. In more than 80 percent of the region’s 70 communities, mineral levels far exceed the World Health Organization’s (WHO) recommended limits, with fluoride levels more than 15 times and arsenic levels more than 9 times WHO recommended limits. These contaminants lead to extreme and widespread dental and crippling skeletal fluorosis, as well as cognitive issues. The Engineers Without Borders UK team collaborated with Caminos De Agua to develop a water filter with an active biochar component capable of removing fluoride in water. Tetra Tech supported Engineers Without Borders UK volunteer engineers to work in Mexico with the local organization to design and test the filter prototype. The team completed bone char examination, designed and built a system to better dry the bones, and designed a filtration system. Tetra Tech’s grant also supported filter testing to ensure safety and effectiveness of the prototype during pilot testing. The Engineers Without Borders UK team also focused on water monitoring activities and awareness raising to ensure community members understood the dangers of groundwater contamination and the importance of filtering out harmful biological and chemical contaminants. Project engineers carried out tests on biochar, a charcoal produced by firing biomass in a kiln at high temperatures, to find the optimal concentration for the char. 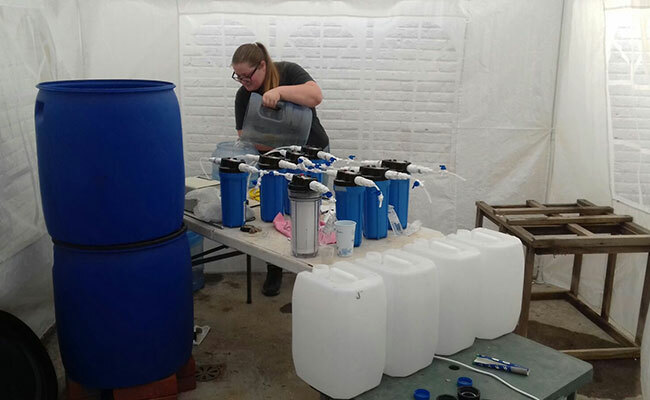 The team used robust scientific testing techniques and the fabrication of a fit-for-testing laboratory in the filter design, demonstrating that effective laboratory testing could take place in peri-urban Mexico at a relatively low cost. The filter is being piloted across three communities, with approximately 10 households benefitting from the pilot. In the second year, the goal is to provide 1,500 filters to homes, reaching an estimated 7,500 people. 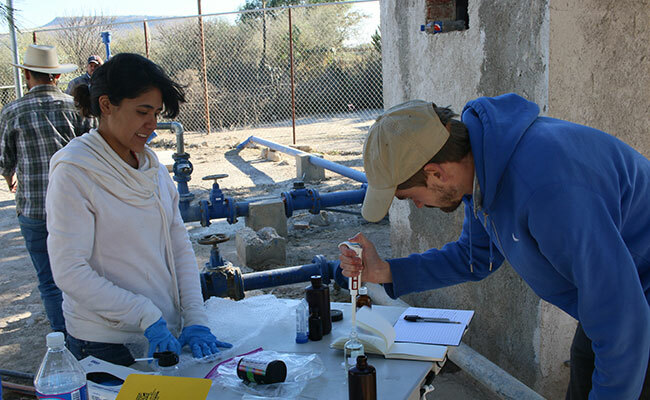 To ensure project sustainability, Caminos De Agua is providing project oversight. The goal for the biochar filters is to have an open source design so micro-entrepreneurs can set up small, local businesses selling filter and cartridge replacements. This model creates positive project sustainability because the local people manage it and can generate small business income. This project provided the catalyst for research that has wider significance for the filtration properties of biochar globally. If the technology proves scalable, the open source design could provide access to clean, affordable, and uncontaminated water for large numbers of people with similar groundwater contamination issues in North Africa, India, and China. Learn more about Tetra Tech's 50th Anniversary Global Clean Water Fund at tetratech.com/ewb.